Did you know that it only takes 70 hours to read the Bible from cover to cover?! So you could read the Bible in exactly one week if you read it for 10 hours a day. Quite something if you had ten hours to read a day, and there's the chance of very little of its truth actually penetrating your heart and becoming productive, since you are literally 'speed reading' the Bible. The fact remains, according to research done in western countries, only 20% of Christians ever read the Bible (cover to cover) in their lifetime. In spite of the world acknowledging the Bible as "the most influential book ever written" (Time Magazine 2012), it's astounding to think that Christians spend so little time reading and studying it's wisdom. 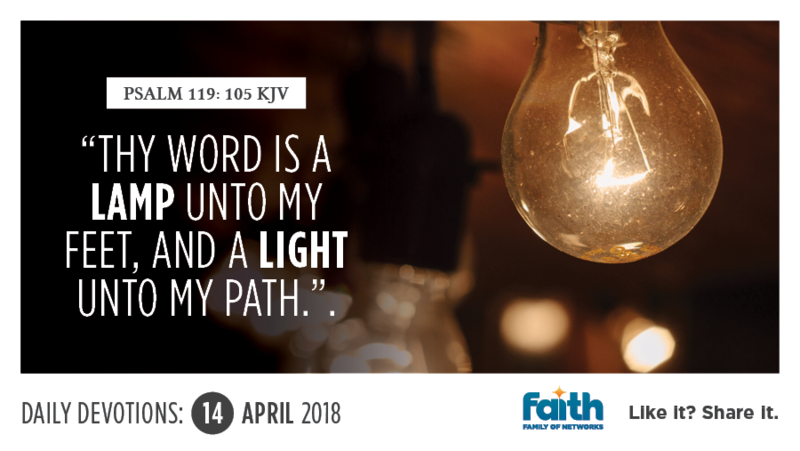 David likens the Word of God to a lamp, shedding light on the journey of life. When God spoke to Joshua about the Word, He said: "This book... shall not depart out of your mouth; but you shall meditate therein day and night, that you may observe to do according to all that is written therein: for then you shall make your way prosperous, and then you shall have good success." (Joshua 1:8). The Bible is more than just written records of fascinating, historical events. It is wisdom and life to all who are diligent enough to take in its teachings and dwell on its promises. That's because it's "God breathed", inspired by His Spirit. When we place value on the Word we read, by giving it the attention it deserves, it has the power to transform us and influence every unfavourable circumstance we face. Why not pick up your Bible and discover for yourself, the glory and goodness that is found on every page.